Jenson had arrived a half hour earlier than normal to prepare for his show. He paced the studio as Walters walked in for the much anticipated interview. Murray stayed behind the glass with Keaton while Jenson prepped the father of our country. After a few minutes, it was show time. Tim pulled his handwritten notes from his shirt sleeve. He began by asking Walters his name and to please tell the audience about himself. 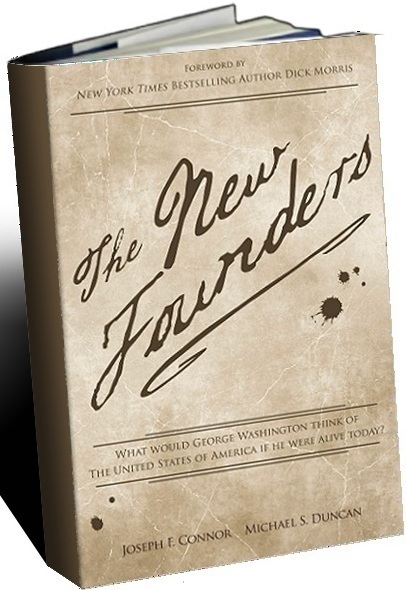 Walters explained that virtually all the is­sues facing today’s United States had been foreseen and addressed by the founders. Walters understood that our future would be secured by our past. Jenson decided to get the conversation going. Mr. Walters explained without hesitation that Federal spending was out of control and needed to be reduced by the elimination of entire de­partments such as Energy, HUD, Education, EPA, and Agriculture. He was highly concerned that the country’s credit rating would be downgraded again, which would cause its debt to offer a much higher yield that may lead to default. Walters proposed the introduction of a con­sumption tax that would broaden the tax base, require the elimination of the IRS, and repeal the Sixteenth Amendment that created federal income tax. He went on to explain that a consumption tax had been supported by Alexander Hamilton over 225 years before and by famed economist Arthur Laffer in the 1970s. He reminded the listeners that Laffer was the man to whom President Reagan based so much of his successful economic policy called Reaganomics. In other words, explained Walters, you had to keep the consumption tax low enough or it would stifle spending and actually reduce tax revenue. Walters went on to say that James Madison agreed with Hamilton and thus Walters, when he wrote that taxes on consumption were always least burdensome, because they were least felt, and were borne too by those who were both willing and able to pay them. Jenson began his next question. Walters explained that the founders also struggled with this issue. Like a storyteller, he told how Madison believed that a public debt was a public curse while Hamilton didn’t quite agree, saying that a national debt, if not excessive, would be a national blessing. Jenson interrupted Walters’ reply, stating that they could not let the country’s rulers load us with perpetual debt. Jenson knew he was over the top in stating that government should not have the power to borrow. But he also understood that government knew no moderation and should behave like a private household. Jenson channeled Jefferson by noting that the same prudence which in private life forbade paying our own money for unexplained projects also forbade it in the dispensation of public monies. Walters recognized the passage and reflected for a moment before replying. He reiterated his belief in the fifteen percent consumption tax, coupled with the repeal of the Sixteenth Amendment. He also explained that America needed to eliminate unconstitutional spending by using fed­eral credit as sparingly as possible. The interview seemed to be going quite well as the phone lines lit up. It was time for the first commercial break. Jenson and Murray sat staring at each other through the glass in quiet awe of their new boss’s command of the issues. But to Walters, these were not new issues. They were the same he had faced almost 240 years before, just with more zeroes. Jenson wanted Walters to take a few calls. This would be the first time the General was directly exposed to the people and Tim thought the next few minutes may make or break their incredible experiment. Walters seemed calm and ready as the host took his first call. Walters went on to say that these were dangerous times. Countries like Iran and North Korea continued to create and test nuclear weapons while threatening allies like Israel and South Korea with annihilation. He ex­plained that now was not the time to weaken our military like the current president proposed. Walters reminded the audience that the United States, during the Rea­gan presidency, defeated the Soviet Union by bankrupting them. He then warned that the same fate could await the United States if we were to al­low government to control the economy and weaken our military while spending us into oblivion. Jenson seconded Walters’ argument, describing Reagan’s doctrine of peace through strength as the way to avoid war instead of promoting it. Walters added how that philosophy differed from that of our current president, who kicked off his presidency with an apology tour of the Mid­dle East and most recently, his apology for an inadvertent burning of Ko­rans by the US military in Afghanistan. Jenson and the new founders behind the glass realized that their man was certainly up to date on current events. They liked their candidate on the attack and pumped their fists in approval. As he waited for the next call, Walters remembered his discussions about illegal immigration with the team. They explained to him that there were millions of people in our country illegally taking jobs from the American people. He was stunned to hear they incredibly collect billions of dollars in benefits such as free health care, welfare, and other unimagi­nable freebies, all from a society going broke and supporting illegals at the expense of its citizenry. More calls followed, leading up to the next commercial break. The fla­vor of each was purely basic political questions and local residences goad­ing him to get in the race now. He deftly handled each with clarity and humbleness that seemed to endear him to Jenson’s faithful following. As he fielded question after question, he continued gathering his thoughts on the immigration topic. During the prep work, the team also explained to Walters that the country now had sanctuary cities where law enforcement could not ques­tion immigration status much less arrest illegal aliens. He could only look down and shake his head when he learned that certain states that began enforcing immigration laws along the Mexican border were actually being sued by the federal government to stop enforcing the law. One of the Justice Departments arguments in the suit was that border control was the jurisdiction of the federal government and not the states. Washington could not believe his ears upon hearing this twisted argu­ment. The federal government, who will NOT enforce the law, was suing those enforcing it because they (the federal government) would not fulfill their admitted obligation. Washington was sick to his stomach as he wondered if he had returned to a different time or a completely different world than he had left over 200 years before; a world with different logic and values than his eighteenth century America. While those doubts filled his brain he also knew that this would be his one opportunity to make things right again. He was determined to make the most of his second chance. He knew humanity and that while times may have changed, the nature of man did not. Therefore he knew there was something else at play here. He quickly inferred that his opposition was buying votes by using the se­curity and rights of American Citizens as their currency. The second caller following the commercial broached the immigration issue once again. On cue, Frank Walters climbed upon his soapbox. He decided to clarify the answer to his own question by detailing that the phrase “Not merely to swell the catalogue of people” was a prediction that the left wing establishment in the country would continue to push for amnesty and citizenship to illegal aliens, creating a larger liberal voting block. Walters continued, hitting the point hard by saying that the United States was founded by those who immigrated in search of liberty, men and women who craved the freedom to succeed and even to fail based on their own abilities without government intrusion. Walters paused for an instant and continued his thought by emphasiz­ing they would only be welcome if their decency and conduct warranted it. Pepper and Anders were gesturing through the glass, trying to get Jen­son’s attention to cut the interview short. They wanted to save some topics for the Josh Anders Show. Walters took the sign and concluded by saying he would increase the border patrol presence and end so-called sanctuary cities. The “yes” ema­nating from Skip Keaton’s mouth was audible to the radio audience. Jen­son thought they had accomplished what they set out to do in an intro­ductory interview and decided to end it here. Washington replied that it was a pleasure, and that he would visit again as his schedule allowed. He wished the radio audience a good afternoon. As soon as the on air light went off, the candidate turned to his host. “That was quite fun, Mr. Jenson. Can’t wait to do that again. 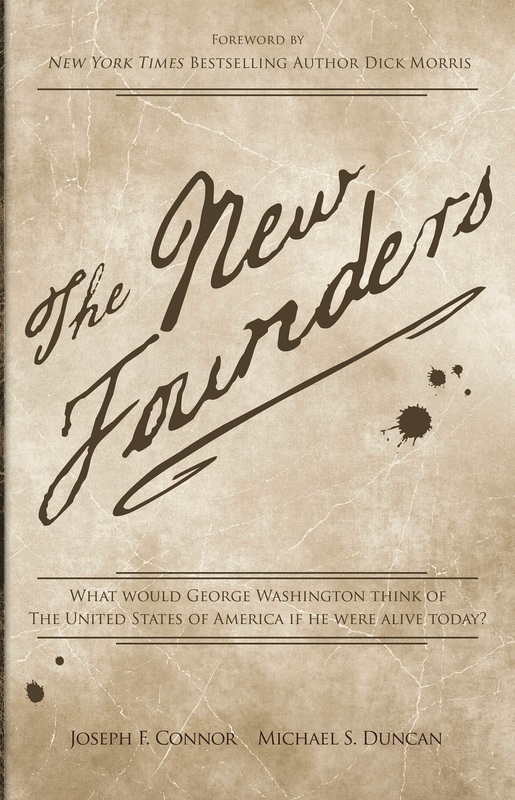 The New Founders is available at Amazon, Kindle and Barnes & Noble.